MEMPHIS, TN — Death could be described as the final chapter in the life of the decedent. But not for the late Staff Sgt. Donnie Dixon, who lives on posthumously in an intriguing book written by his widow, L. Latrese Dixon. “From Tragedy to Triumph: The Life of a Widow” is the recounting of an enduring love story told by Dixon, who was shattered after the Army sent her husband home from Iraq in a flag-draped coffin. Loneliness and sadness added to Dixon’s grief. The loss was nearly too much to bear and would have overtaken her if it had not been for the children: Ta’Mya, Sha’Bria, D’Andre and Donnie Jr.
“I’ve had people to ask how I overcame the challenges,” said Dixon, who was encouraged by Col. Dave Sutherland (retired U.S. Army), Kim Mitchell and others to speak about her travails as the widow of a fallen soldier. But Dixon was too shy to speak out in public and needed a mouthpiece to speak in her stead. So she enlisted Sutherland and Mitchell, founders of The Dixon Center, an outreach for veterans and military families. Friends and loved ones, however, continued to encourage Dixon. They wanted to know how she was able to grieve and yet maintain her sanity. Since speaking about it wasn’t going to happen, she decided to write it down. Nothing would go on without Dixon’s children having their say in the matter, though. “I wanted them to write their own piece…how they felt about the tragedy of their dad,” said Dixon. “Once they realized they couldn’t do it, I just let it go,” said Dixon, who had lost her father 18 months after Donnie’s death, her brother when she was 18 years old, and her mother when she was 12. Prayer got her through each time death came knocking. But after Donnie’s death, she needed fervent prayer to put her life back into perspective. She couldn’t afford to crumble under the weight of grief, because she had to stand in the gap for her children. The book explains it all – her life with and without Staff Sgt. Donnie Dixon. In Dixon’s case, she would overcome death without turning to drugs, alcohol, medication and other addictions. She chose instead to embrace friends and loved ones and frame those unforgettable memories of Donnie for posterity. Ta’Mya, Sha’Bria, D’Andre and Donnie Jr. are constant reminders that Dixon’s late husband and the children’s father is always present. The children, however, managed to find solace after the death of their father. It was a melodious chord to Dixon’s ears. For more information, call L. Latrese Dixon at (254) 466-8262 or email her at latrese_dxn@yahoo.com. 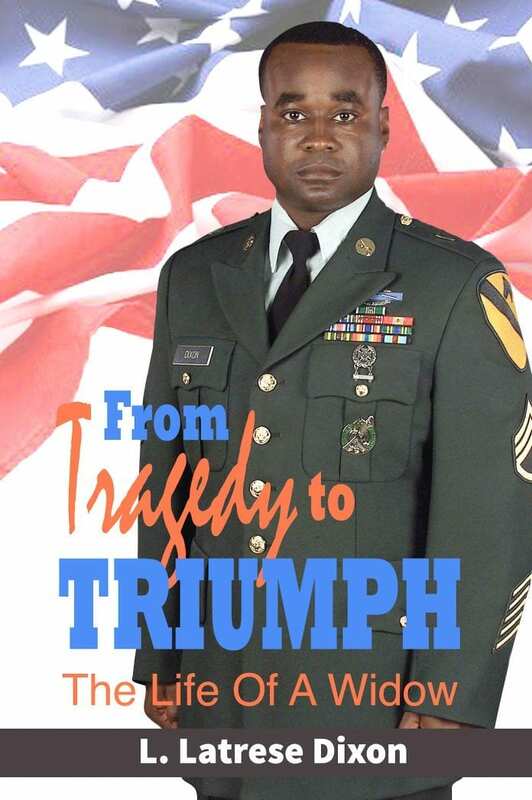 “From Tragedy to Triumph: The Life of a Widow” can be purchased through www.amazon.com. Previous articleWhich to Use, W2 or Last Pay Stub for Tax Filing?